#13903A CLUTCH DRIVE ASSEMBLY 12 tooth, fits 1969 ROADSTER & GOAT with 2 speed driven, Nice replacement for the 13 tooth clutch with modern internal parts. 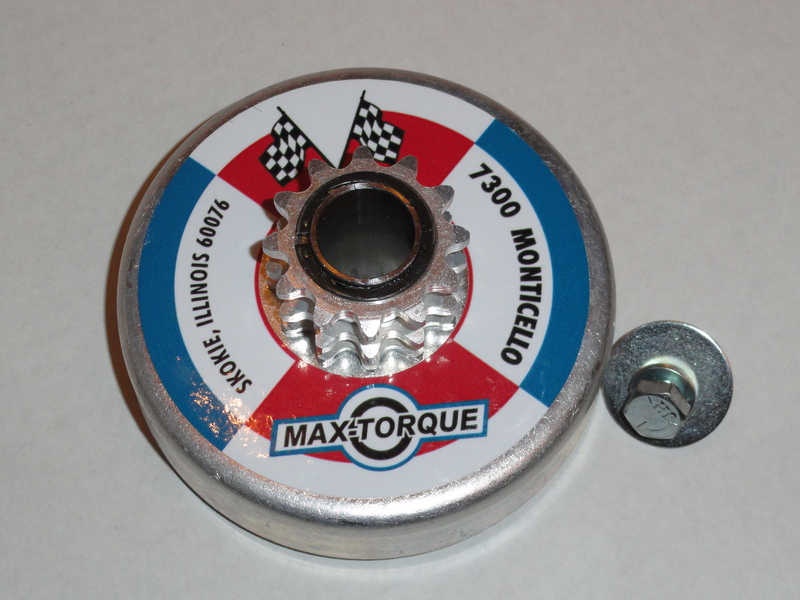 This is a bolt on clutch, it does not use a set screw. Now has black drum with 6 cooling holes like the 1968 version.